Tennis: Stefanos Tsitsipas versus Alex De Minaur – an analysis of their playing styles and match at the ATP NextGen Finals in Milan. Either Stefanos Tsitsipas or Alex De Minaur could collect the $407,000 winner’s prize-money at the NextGen ATP Finals in Milan today. Both players have made considerable improvement in rankings this year and were seeded one and two for this event. Both, Stefanos and Alex, won all their matches so far. Stefanos Tsitsipas won all his Group A matches and then dispatched an inspired Andrey Rublev 4-3 (3), 3-4 (5), 4-0, 2-4, 4-3 (2) in the semis. Stefanos is the highest ranked and seeded player in the event and the pressure, on him, to live up to his rankings is enormous. Will he be able to outmatch Alex De Minaur’s grind with his all-court aggression? Alex De Minaur, on the other hand, topped Group B by winning all his matches and then overcame a stiff 3-4 (5), 4-1, 4-1, 3-4 (4), 4-2 resistance from Jaume Munar in the semi-finals. De Minaur’s grinding style and proclivity for prolonging points. Alex De Minaur enjoys running and prolonging the point like Andy Murray. At 19, he is already better than Murray at the cat-and-mouse and tactical games, which, unless accompanied by natural aggression, are, for all intents and purposes, exotic and fancy terms for methods deployed to prolong points. Andy Murray is as fast, if not faster, as Alex, and certainly stronger and more talented than him. And, Andy, as we all know, has been plagued with injuries for a significant part of his career. With De Minaur’s grinding style and proclivity for prolonging points, there is little except an injury infested future on the cards. The baseline grind forms the basis of De Minaur’s game. 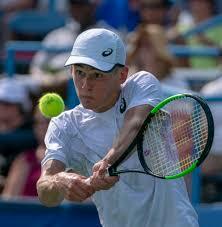 De Minaur is reasonably good at the net and even makes forays into that territory, the foundation of De Minaur’s game, however, is built upon baseline grinding and going around the back-hand to execute inside-ins / outs and then rely on his speed to scramble back into position and cover the vast open expanse he leaves open for the opponents to exploit. His forehand although good is not a weapon like Federer’s or Del Potro’s. The backhand is not strong enough to inflict damage, and the excessive use of the backhand-down-the-line becomes obvious. De Minaur rarely controls the center of the court. There have been a few articles published on De Minaur’s more aggressive style as compared to his mentor Leyton Hewitt’s, and Alex’s penchant to use the aggressive forehand which, in turn, forces him to cover more court than his opponent. Such articles, however, fail to mention that De Minaur rarely controls the center of the court and runs more than the opponent even on the points he wins comprehensively; and that is a recipe for serious injury down the line and quite early on in the career. The premise, however, that a player cannot outrun the ball is challenged by Alex De Minaur. Stefanos Tsitsipas is a more complete and talented player than Alex De Minaur. That Stefanos Tsitsipas is talented has already been acknowledged by us in past articles. He is a better and more talented and complete player than Alex De Minaur in every facet except scrambling and grinding. Tennis, to Tsitispas disadvantage, however, has become a physical sport and grinder’s game. The excessively talented require a little more time, to hone their craft, as compared to the grinders. Stefanos is a year or two away from reaching his best levels. We believe Stefanos, at 20, is still a year or two away from reaching his best levels. 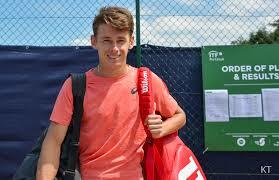 Alex De Minaur at 19, however, is already approaching his best levels which, with the usual peaks and troughs in a players career, could last for up to seven or eight years depending upon injuries and evolution of the player, and the competition-level and changes in playing conditions such as speed of playing surfaces, etc. Tsitsipas is an exceptional all-court player. 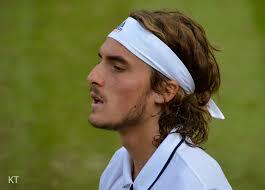 Tsitsipas is an exceptional all-court player with a strong forehand and an excellent single-handed backhand. His serve is quite powerful and, like the Maestro, he looks to move into the court and towards the net to cut short and finish points. He is also quick and moves well for a 6’4.’’ Stefanos’ backhand, moreover, is better and the first service packs a bigger punch than Roger’s at 21. His service placement may not be as good as Roger’s, but that can improve over time. Stefanos Tsitsipas is not the second coming of Roger Federer. Some have labeled Stefanos Tsitsipas the second coming of Roger Federer but, we believe, it may be too early to make such comparisons and claims. The backbone of Roger’s game is the beauty and longevity of his playing style, and they both are a product of his uncanny balance on the court. Rafael Nadal and Novak Djokovic do not execute shots with poise and from a perfectly balanced position, Roger, on the other hand, rarely appears out of balance and poise. Both Nadal and Djokovic appear to wield their rackets as weapons distinctly separate from their bodies, but Roger, however, seems inseparable from it. 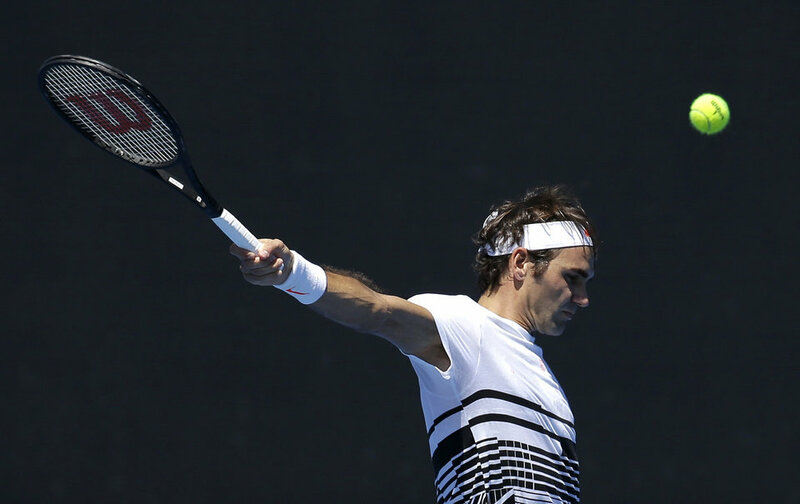 The racket appears as a natural extension of Roger Federer’s arm. At his very best Roger doesn’t strike, he becomes one with, the ball. Roger’s ability to strike the ball on the rise and early is the foundation of his natural aggression. Stefanos is not even close to recreating the flawless beauty and natural aggression of Roger’s movement, style, grace, and yogic technicality of his shot-making. Can Stefanos devise and implement effective tactics to best grinders on slow surfaces? The future is bright for the talented Stefanos Tsitsipas, and he could win multiple slams if can devise and implement effective tactics to tackle the grinders and retrievers on slow surfaces. The balance has been disproportionately tilted, by the powers that may be, in favor of the grinders and retrievers. An aggressive, all-court, player has to battle not just the grinder but also slow court designed for grinding. The finals of the NextGen Finals between Stefanos Tsitsipas and Alex De Minaur. The finals, of NextGen Finals, between Stefanos Tsitsipas and Alex De Minaur is another event for the aggressive all-court talent to beat not just the fleet-footed grinder but also the court designed to favor grinding. Can Stefanos beat two formidable opponents in the match? Conclusion: The head picks De Minaur, but the heart wants and expects the better tennis talent, to win in five. ← ATP NextGen Tennis: Stefanos Tsitsipas has little to gain from playing the NextGen Finals in Milan.